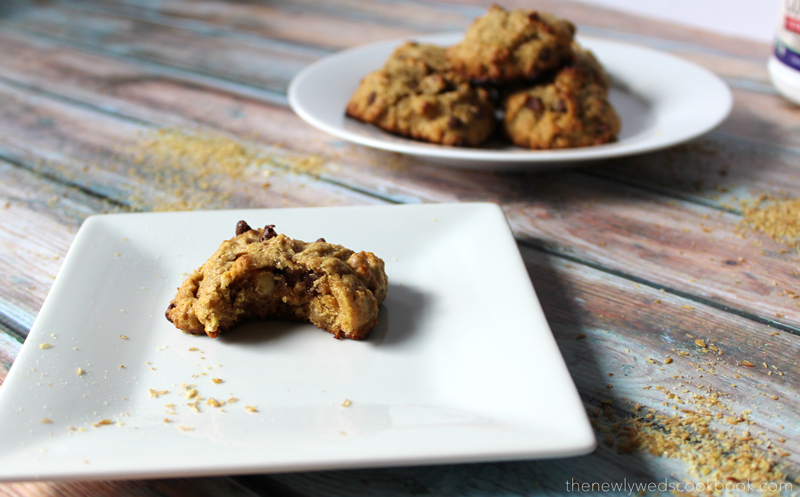 Cookies are my all time favorite dessert and I love any opportunity to try new variations of them. When I got home from work today, I made some (almost) paleo chocolate chip cookies. They would have been 100% paleo, except that I added some whole wheat flour. Where I used whole wheat flour in the recipe could easily be replaced with almond meal or more flaxseed meal. It was my first time cooking with flaxseed meal, so I wasn’t completely ready to take the full plunge. So, I decided to split it up between two different flours for tonight (flax seed meal and whole wheat flour). Now that I have officially baked with the flaxseed meal and saw how wonderfully the cookies came out, I am much more confident in replacing whole wheat flour completely for flaxseed meal in a recipe. 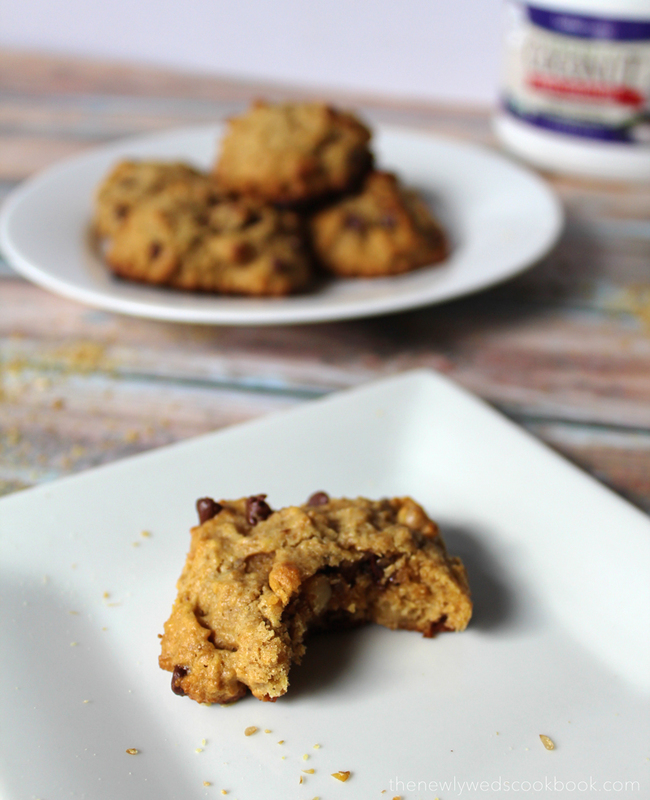 These (almost) paleo chocolate chip cookies are a lovely healthy treat: no butter, no sugar. 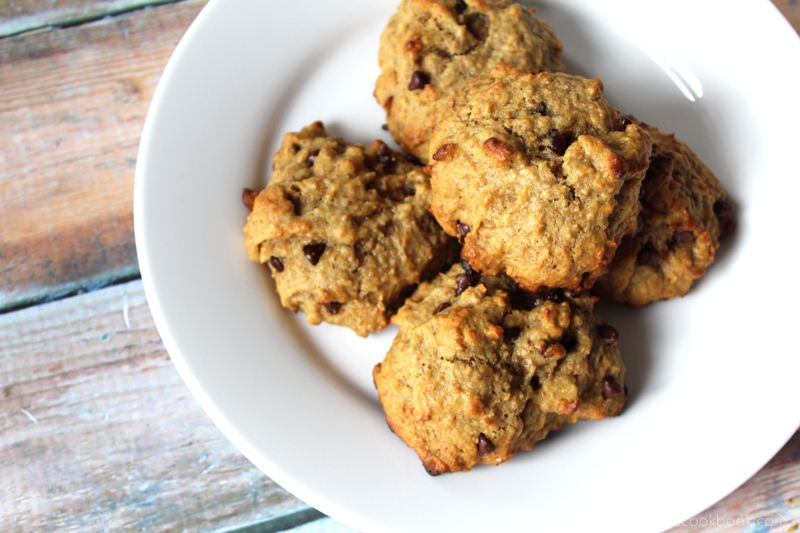 They are sweetened with coconut oil and raw honey! Yum! 2. In a medium mixing bowl, whisk together the flax meal, whole wheat flour, baking soda and salt. 3. In a Kitchen Aid, beat together the vanilla extract, eggs, honey, and coconut oil. 4. Slowly add the dry ingredients to the wet ingredients until well combined. 5. Now, add the cacao nibs (or chocolate chips) and crushed walnuts and mix just until just combined. 6. Place 1 tbsp scoops of the batter onto the baking pan and place in the oven for 7 minutes. 7. Take out, let cool, and enjoy!